Our staff regularly review technology products that include accessories, software, services and of course, iPhones, iPads, and Macs. Each year, we thoroughly test hundreds of products and provide our readers with in-depth reviews written by our team of experts. In an effort to highlight products we like, we've established the iMore Choice Awards. When you see the red seal associated with being an iMore Choice Award winner, you can feel confident that the product has been tested and recommended by our staff. 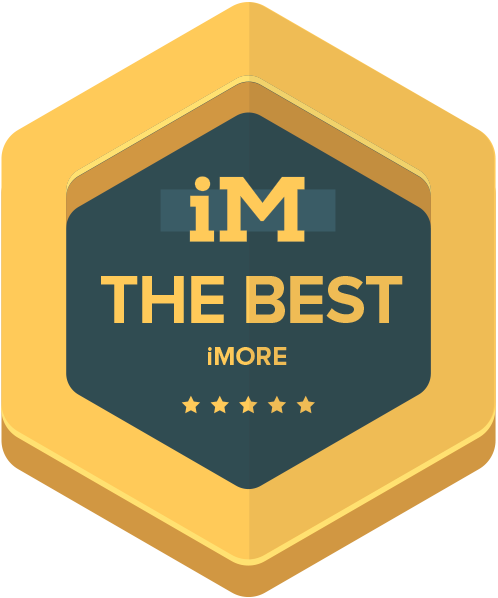 If you're looking for a way to cut through the clutter, the iMore Choice Award is a great way to find the stuff we really like and recommend. Sometimes it can be a bit overwhelming to read endless reviews in pursuit of your perfect device. For that reason, we've done most of the hard work for you. We use iOS and OS X on a daily basis (and sometimes more!) so we know good when we see it. We don't take this award lightly either. We know that you rely on us to help you make an informed decision when it comes to tech — and Apple in particular — so we absolutely use these products as you would so we can separate the best from the rest, and only those that are truly worthy receive this award. Join the Discussion: Do you have more than one phone? One phone, two phone, red phone, blue phone... We're chatting about how many phones you have, should have, and want to have in the iMore forums! Do you have a super old iPad you're still in love with? Maybe you haven't been able to let go of your iPod Touch? Hop into the iMore forums and let us know what your most elderly iOS product is! We've teamed up with the awesome team at PodPocket to bring you an amazing giveaway! Check out the details here! If you're looking for an all-in-one sound system that sounds amazing and features Bluetooth connectivity, there's nothing better (or bigger) than the Fluance Fi70. The 64GB Apple TV 4K is the best you can buy today. It lets you watch 4K HDR content from iTunes, Netflix, and more, run apps and play games, and is small enough to fit almost anywhere. Are you switching to the iMac Pro from Windows?